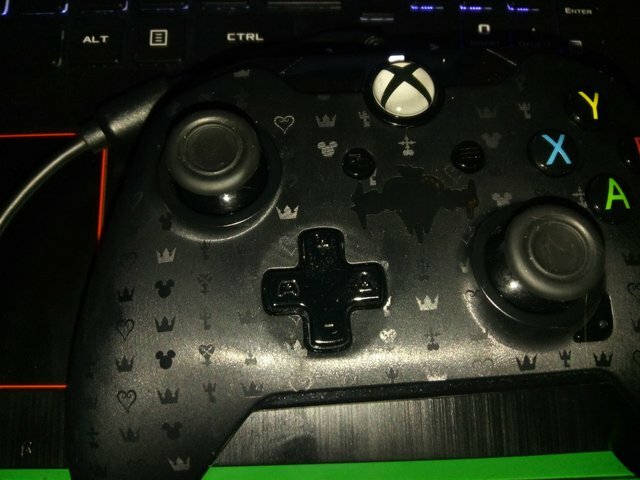 PSA - If you bought the Xbox KH3 controller by PDP, be prepared for disappointment. No not in performance or build, it's actually a very good controller and I haven't had any mechanical issues with it (yet anyway). It's lightweight, sturdy and handles real well. The gold emblem is a major issue. It completely came off. It's as if someone painted the plastic with gold eye shadow. Do not use it. 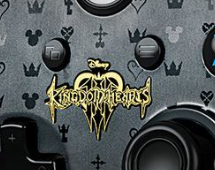 Keep it boxed up and add it to your KH collection. If you plan to use it, I highly suggest you put some kind of sealer on it. Mod Podge Dimensional Magic comes to mind. If you've ever seen those domed stickers, that's basically what it will do for you. I plan to do this if I get a replacement. If you're not into the bubble thing, you can probably use any acrylic sealer spray, just make sure to put tape and cover up the area you don't want sprayed.